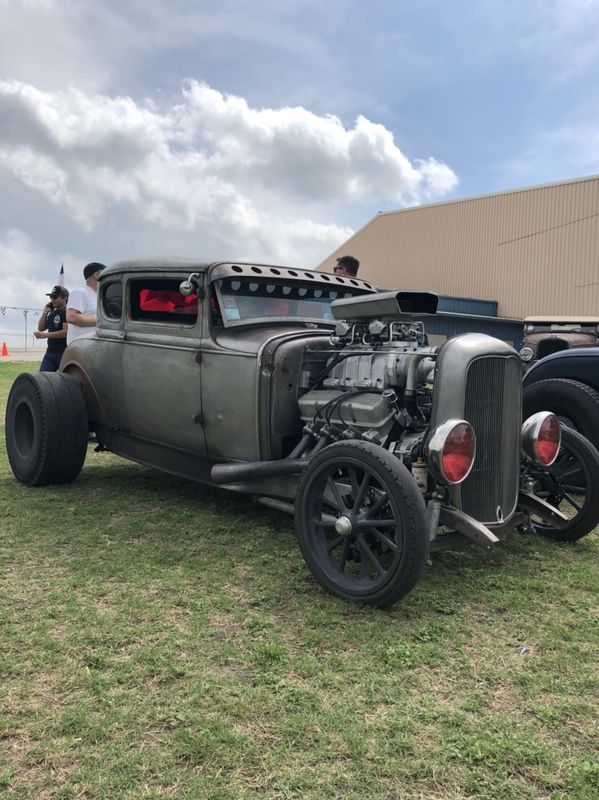 Post your pics of 2018 Roundup | Page 2 | The H.A.M.B. 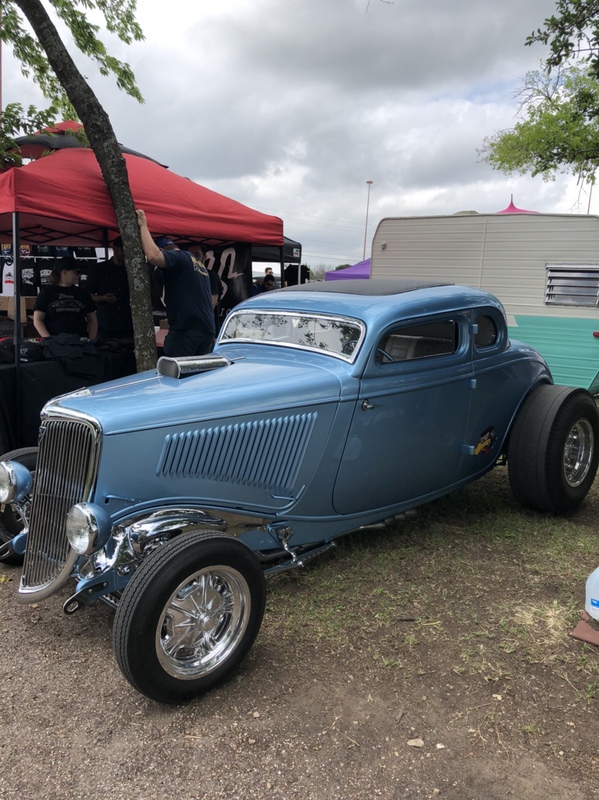 Discussion in 'The 2019 Lone Star Round Up' started by wrenchspinner, Mar 12, 2018. No top, no wipers, no problem. mario711, Shutter Speed, Animal and 7 others like this. You can stay pretty dry if you go fast enough!! 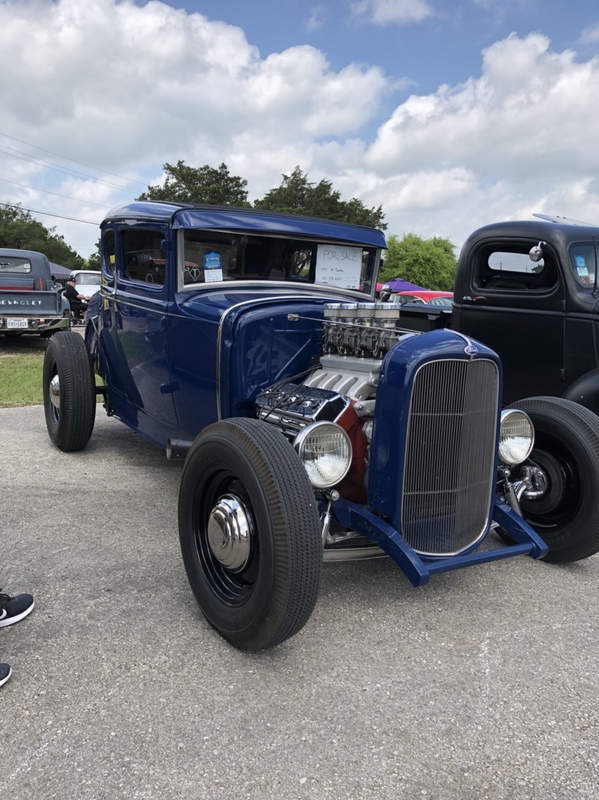 Here's a few pictures I took at day one of the Lonestar Roundup. 37coupeute, Thom Mead, Knghtcadi and 2 others like this. Thom Mead and DaveH_RRTX like this. Saturday turned out to be a real challenge with the weather. The temperature just barely above 40F most of the day and the north wind and drizzle mist made for a chilly day walking outside. 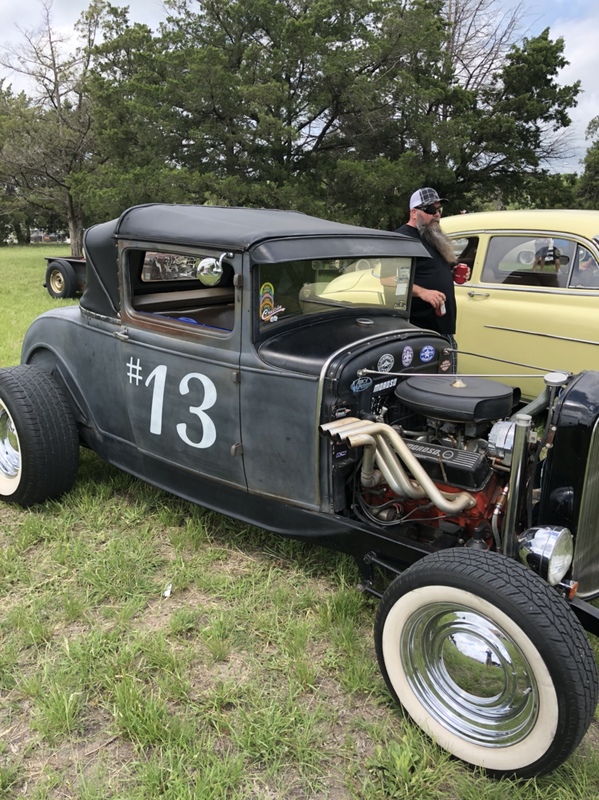 My wife and I got to the Roundup early and had our '34 parked in lot "A" by 9:15am. I unloaded our chairs and canopy thinking we would use them later when it warmed up. Then I retreated to the car to warm up and drink some coffee. I left a couple of times to try to take pictures and stretch my legs (not a lot of room in a 5w coupe) but it was so damn cold my eyes kept watering and it was hard to keep warm. So I would circle back to the car to warm up. My wife made the best of it and we ended up having our lunch picnic inside the car. So compared to yesterday I shot a pitiful few pictures today. I tacked them on to the end of the same album I linked to in yesterdays post (see quote). just skip to the last page or so of the album if you don't want to see all of yesterdays shots again. By 2pm my wife and I decided to call it a day and we reloaded everything back into the car and headed out for home. Maybe we will cruise Congress Avenue tonight. Texas Weather is a B-----! Almost 90 yesterday. Hate to admit I wimped out. Thom Mead and Auslander like this. My photos from Friday and Saturday are here. I think there are just shy of 200. Left the truck outside of the gate Friday since we didn't plan on staying long. 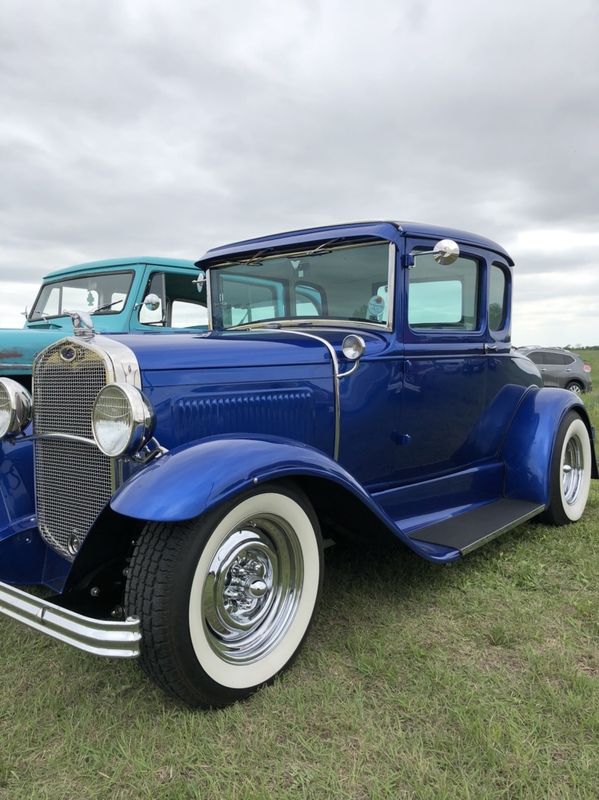 Froze our asses off Saturday, and in the middle of all that, forgot to take a selfie with my wife in front of the neon sign, and forgot to take any pictures of my own truck at the show. Fail. putz and Shutter Speed like this. Great time at the LSR! Shutter Speed and DaveH_RRTX like this. 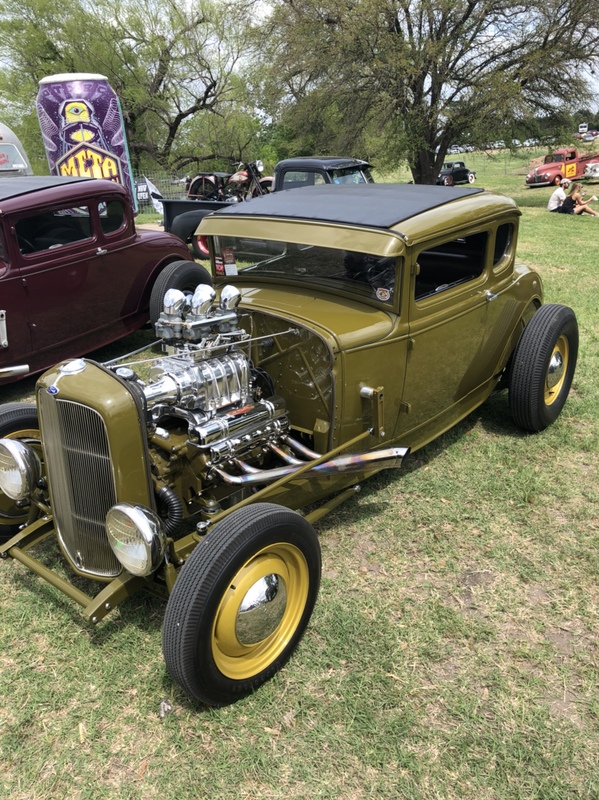 The Roundup was incredible this year, and I have to congratulate the builders out there... Despite the weather, I think the quality of cars this year was the best I've seen. Some truly nice rides. Everywhere I turned with my frozen wind-burned brain, I saw something awe-inspiring. Good job everyone... And thanks for sharing them with us all. Shutter Speed and 72yenkonova like this. rumblegutz, MUNCIE and PurdueSD like this. Thanks all for the great coverage. If someone would kindly let me know if the link works I'd appreciate it. Had a blast today, looking forward to the rest of the weekend. Thanks Man, nice pic of my Wifeys Merc. ebizbuddy and 72yenkonova like this. Sparked and Jpeg1971 like this. Thanks! If she'd like a copy of the file let me know, I'll forward it along without the water mark. 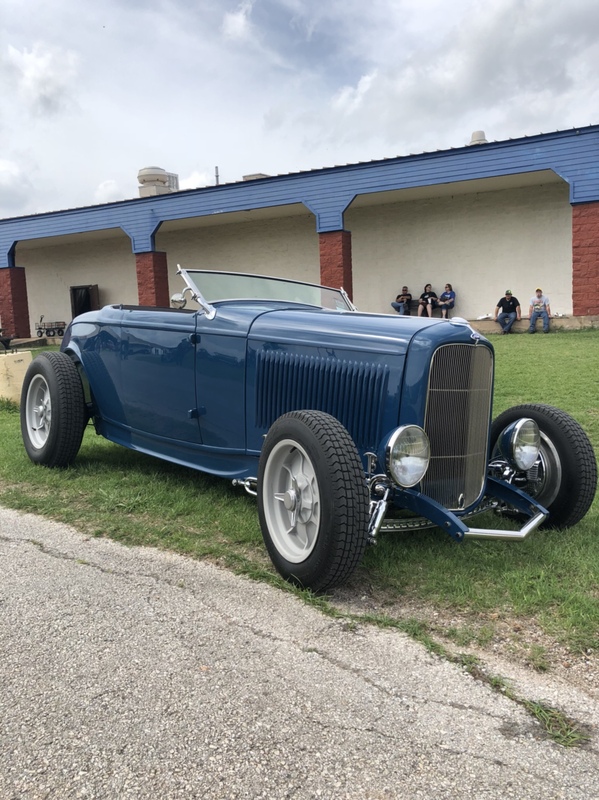 I built the blue model a with the deuce bumpers for my 78 year old boss he was very happy to see pictures of it here thanks it made his day and mine !! Flogknaw and pecker head like this. LOOKS LIKE A GOOD!!!!!! TIME I WISH I WAS THERE> MAYBE NEXT YEAR. 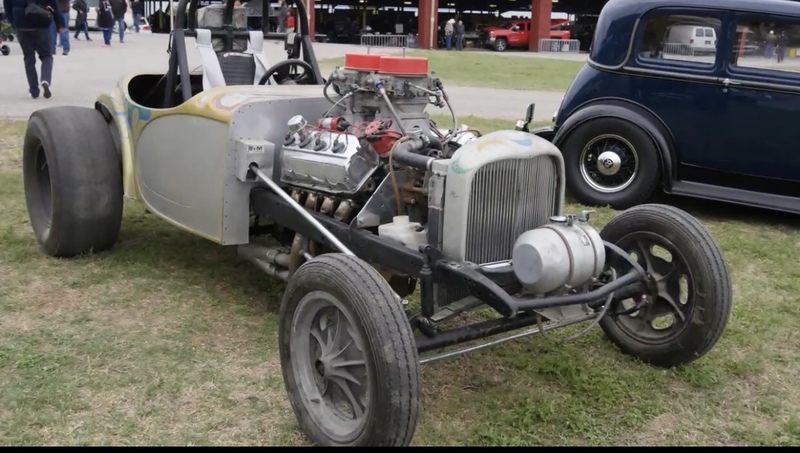 A32Flathead and pprather like this. I love the cars, great photo.